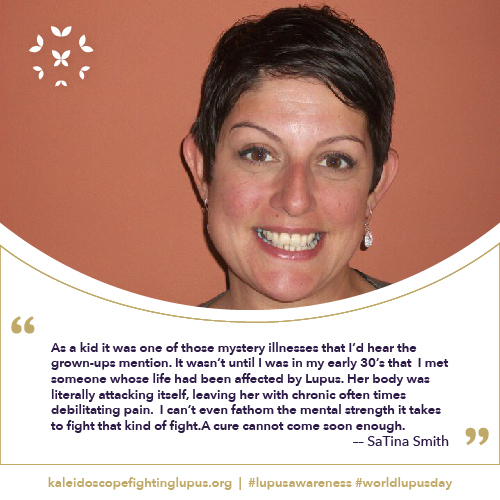 Kaleidoscope Fighting Lupus is joining organizations all across the United States in celebrating Lupus Awareness Month with events, fundraising and social media. 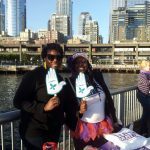 Help us spread the word about lupus and those living with it – so that one day, we can find a cure! 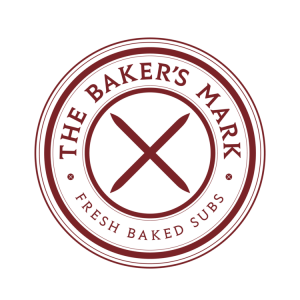 The Baker’s Mark and Coopers Hall are once again partnering with us in advocating for those living with lupus, They are donating a portion of their sales on May 10th to our programs. It is a wonderful opportunity for you to dine, donate and make a difference! 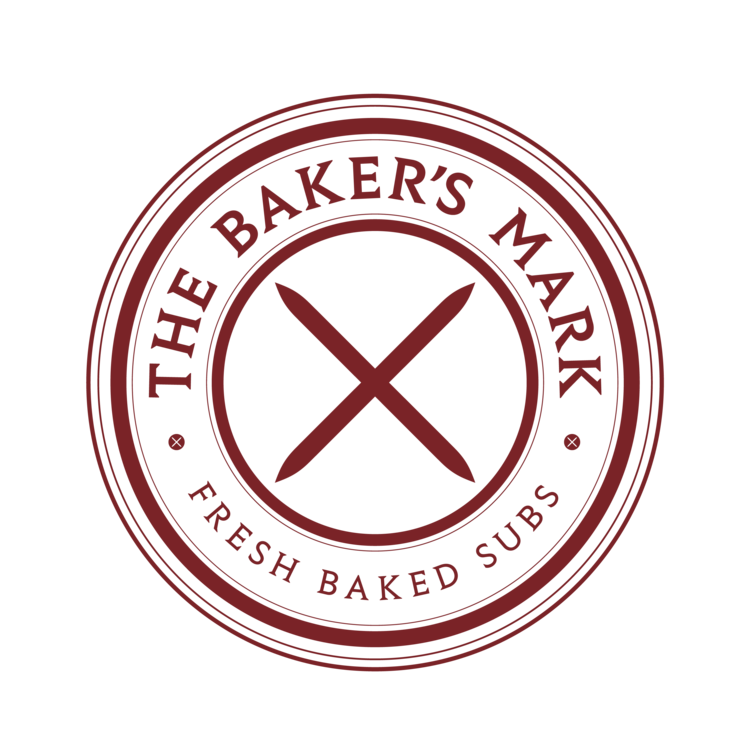 Together, The Baker’s Mark and Kaleidoscope Fighting Lupus are taking a bite out of lupus. 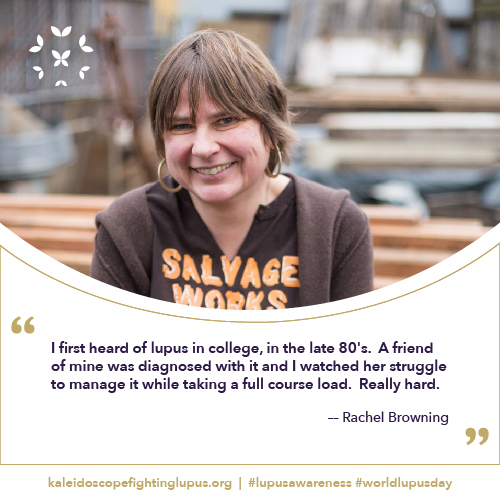 10% of sales on World Lupus Day will go to our programs in service of those living with lupus. Why not take a really big bite and buy two sandwiches for twice the support. 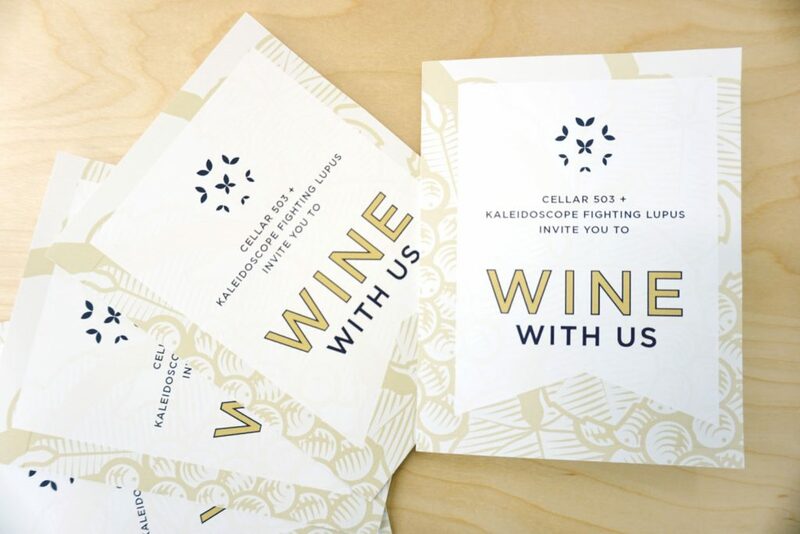 Kaleidoscope Fighting Lupus and Coopers Hall invite you to Drink Pink! On World Lupus Day, 10% of all rosé sales go to our micro grant program that provide assistance to those in our lupus community in need. Drink Pink and make a difference! Stream Week, is 7 days of video gaming and giveaways for the online gaming community from May 20th – 26th. 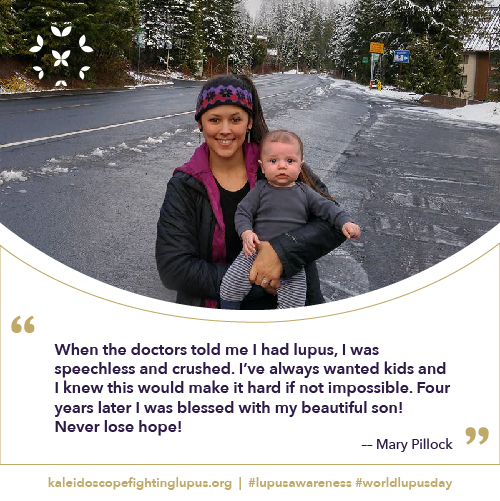 This effort raises both awareness and funding with all of the proceeds going to Kaleidoscope Fighting Lupus and our work advocating for those living with lupus. 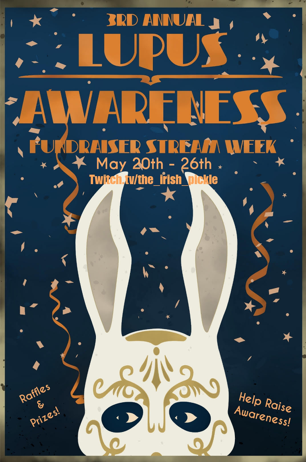 The theme for the year’s event is Bioshock™, and the goal is to raise $2,500! Join in the fun at twitch.tv/the_irish_pickle. To sponsor the event, email mosenpai@gmail.com. 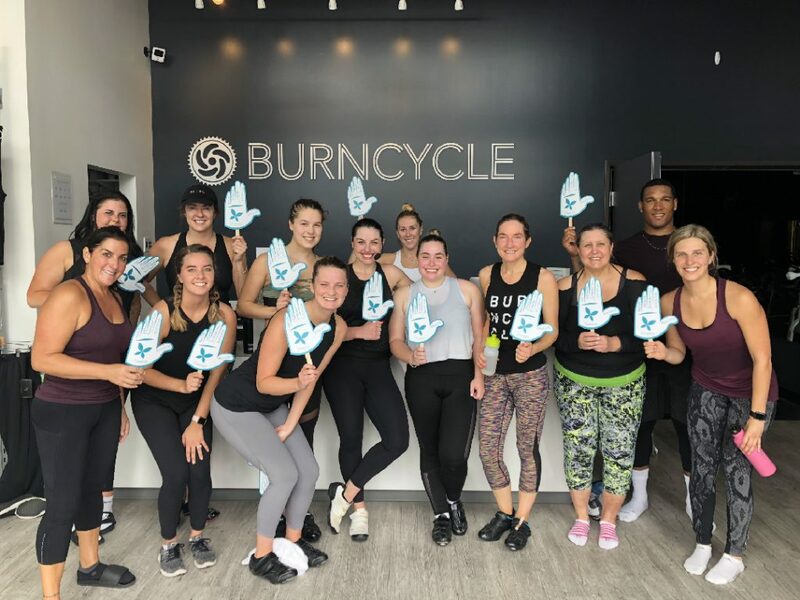 Starcycle is supporting Kaleidoscope Fighting Lupus and those living with it by hosting a ride at their Lake Oswego Studio. 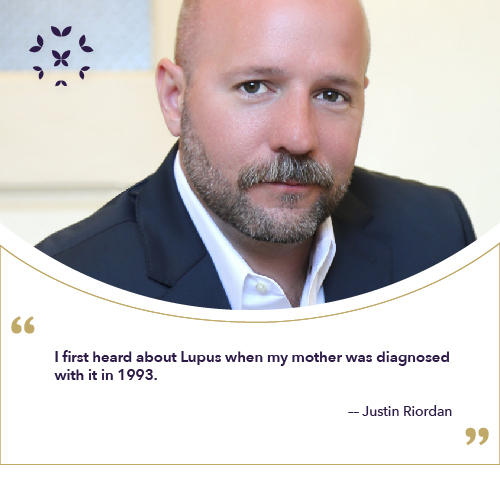 This event honors all those affected by lupus. 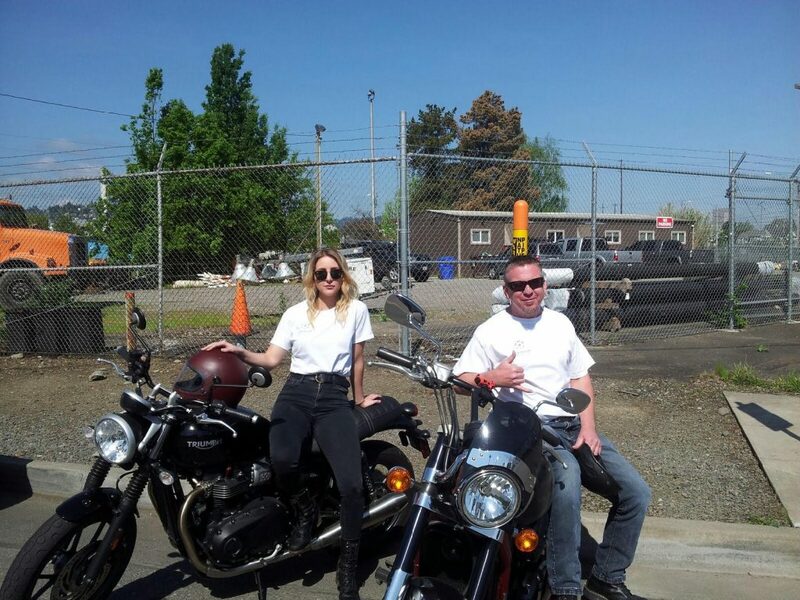 So come ride with us and help raise money and awareness, while raising your heart rate. We’ll post the time and location soon, so stay tuned! Let’s Ride! 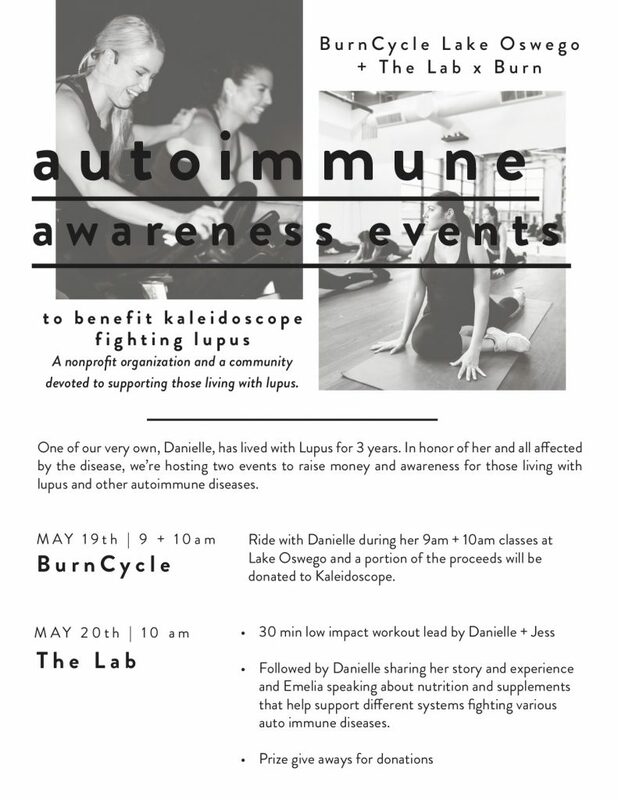 Kaleidoscope Fighting Lupus celebrates our own local support group members on May 10th with an intimate dinner at the Bottle + Kitchen, a local favorite renown for serving globally inspired, locally refined food. 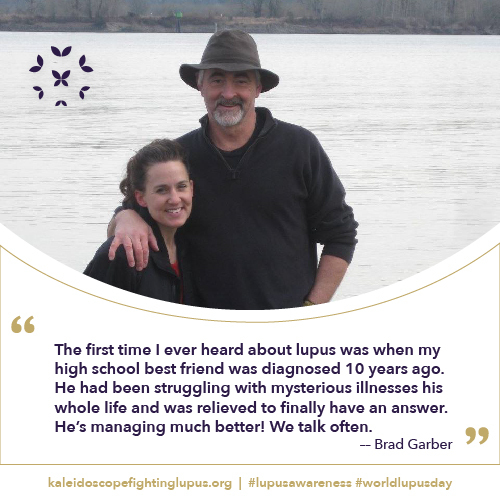 Located in the Hotel Rose near the Morrison Bridge in downtown Portland, Oregon, this event is a wonderful opportunity for our lupus community to come together to share stories, celebrate each other as well as honor those struggling with lupus every day. We thank the Bottle + Kitchen for their sponsorship of this event! 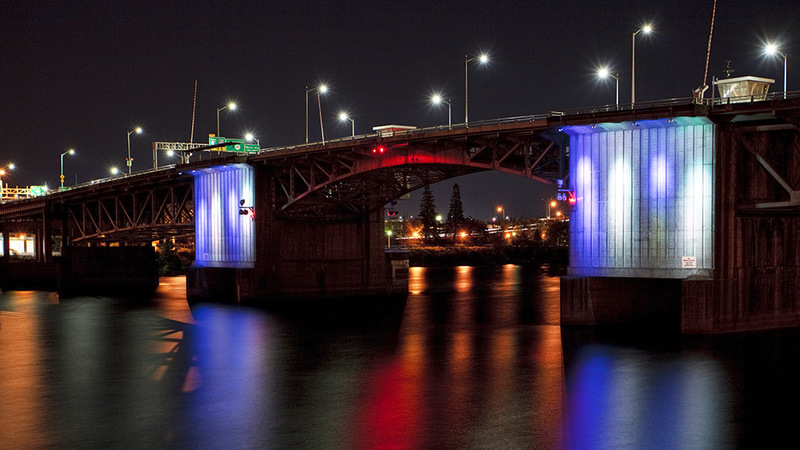 The Morrison Bridge in Portland, Oregon will shimmer in radiant teal and purple for the night of May 10th! Teal is our own Kaleidoscope Fighting Lupus color and purple is the official color of lupus … and both will be on display that evening. 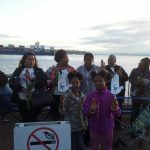 We thank the Willamette Light Brigade for their help in this effort! We also thank West Linn Hairport – our sponsor for this event! 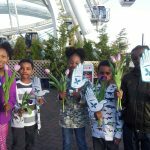 Kaleidoscope Fighting Lupus will be once again featured in the windows at The Nines Hotel for the entire month of May, celebrating Lupus Awareness Month. 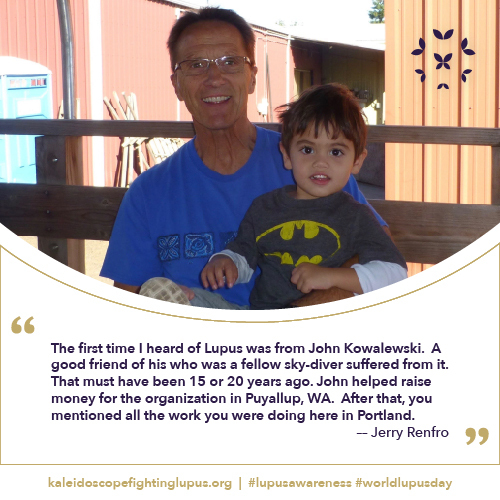 This high-visibility, downtown Portland exposure gives us the opportunity to raise even more awareness for lupus and those living with it. Make sure to stop by The Nines Hotel at 525 SW Morrison Street, Portland, Oregon and see it for yourself. This window is sponsored by The Nines Hotel and Lauren Hasson of the Hasson Company. We thank both for their support! 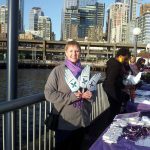 This year, for World Lupus Day, we’re partnering with Lupus UK to spread awareness and reach out to a global community! 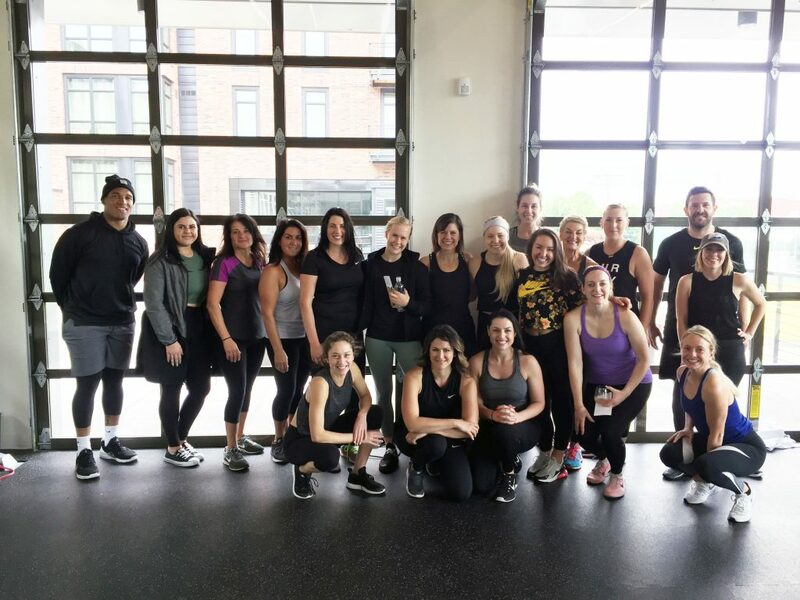 This year on May 10, 2018, we want to raise awareness of this disease. 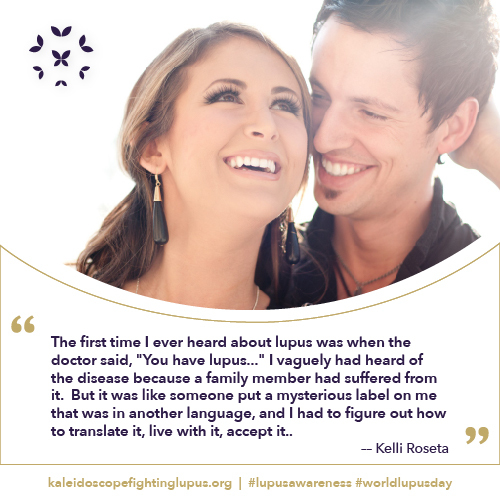 By not being aware of lupus people are more likely to experience a delay in getting a diagnosis. A delay in diagnosis can have life threatening results. Please share your story with us at Stories@KFLupus.org so we can raise awareness by sharing it with our supporters through our social media channels (Facebook, Twitter, & Instagram ). 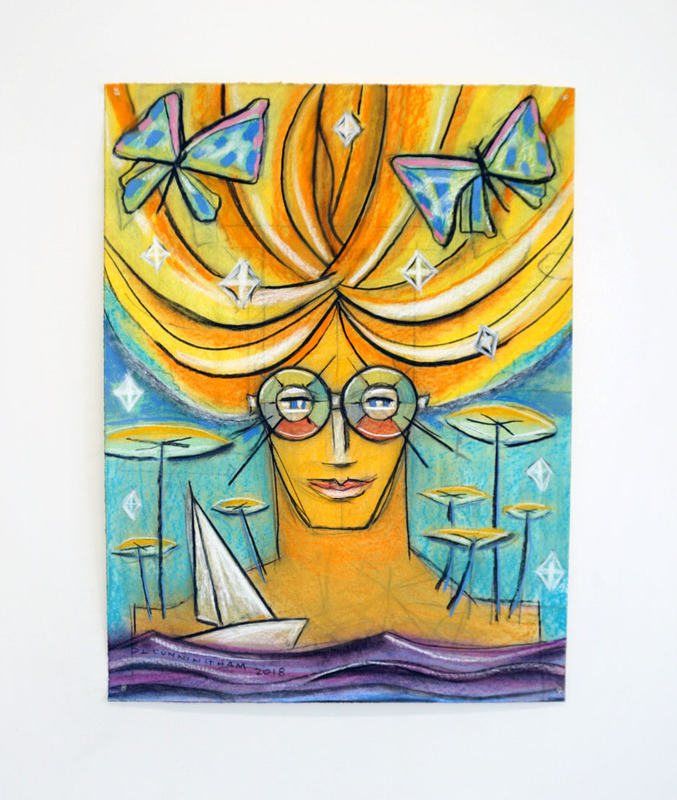 The inspiration for this work of art, has a connection with both the name, “Kaleidoscope,” and the disease, lupus. In 1967, when John Lennon was working on The Beatle’s album, “ . Peppers Lonely Heart’s Club Band,” his son, Julian, 4 years old at the time, drew a picture of his friend and classmate, Lucy O’Donnell (later Lucy Vodden) and called the drawing, “Lucy in the sky with diamonds.” John took this inspiration for the song, added the phrase, the girl with kaleidoscope eyes, and the rest is history. 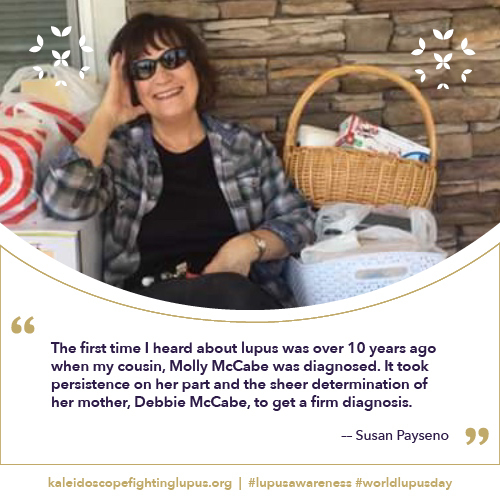 Later, Lucy O’Donnell was diagnosed with lupus and died from the disease in 2009. We hope to honor her memory as we raise awareness for the disease that took her life. Dennis Cunningham was commissioned to create this work of art for Lupus Awareness Month by Kaleidoscope Fighting Lupus. Dennis is an acclaimed artist from Portland, Oregon USA. His graphic mediums of choice, for three decades, have been block-print and pastel. 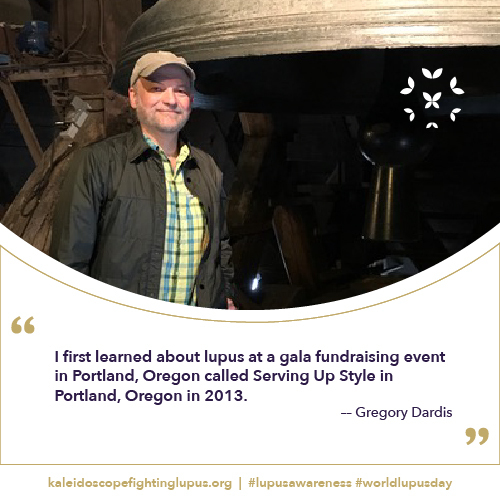 He has been a strong advocate for the arts and for those living with lupus. The Nine’s Hotel has graciously gifted Kaleidoscope Fighting Lupus with its street level window for the full month of May. 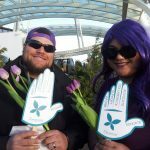 This high-visibility, downtown Portland exposure gives us the opportunity to raise the much needed awareness for lupus and those living with it. 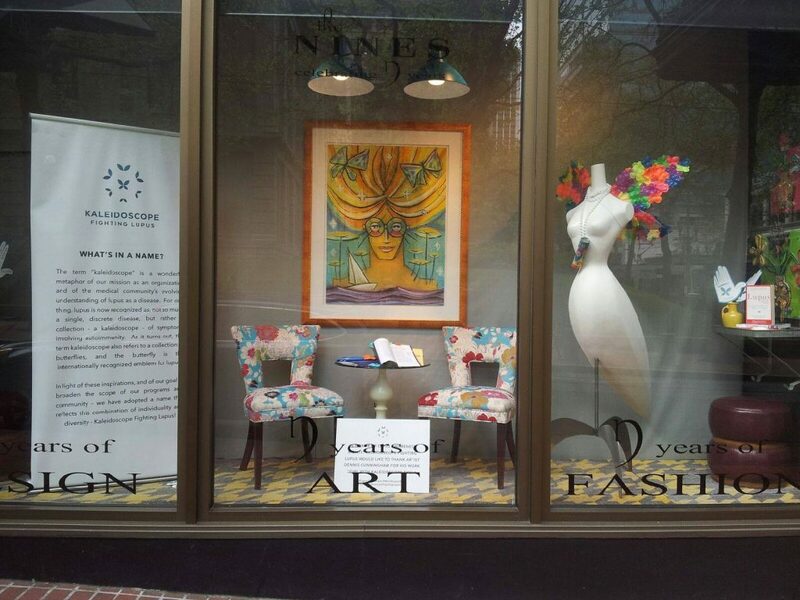 You can enjoy the window, artwork, and valuable information beginning May 1 – 31, 2018 at The Nine’s Hotel, 525 SW Morrison St. Portland, Oregon 97204. 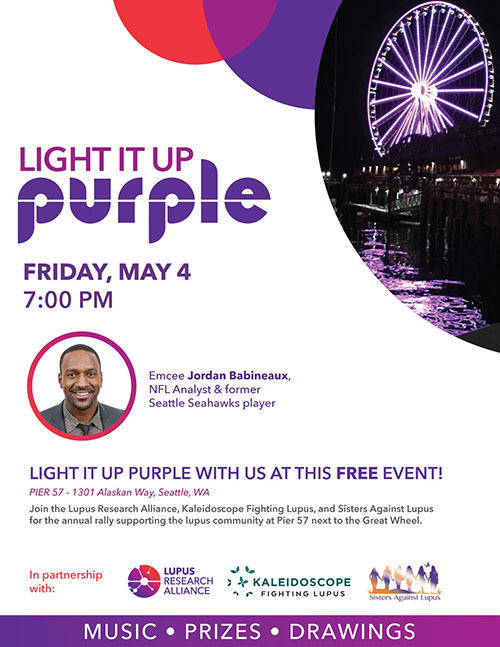 Kaleidoscope Fighting Lupus, Lupus Research Alliance and Sisters Against Lupus invite you to join us in Seattle, at Pier 57, for our annual Light IT Up Purple rally. It is an evening of raising awareness, community building and fun. Kaleidoscope Fighting Lupus has worked in partnership with the Willamette Light Brigade to bring awareness to those living with lupus. 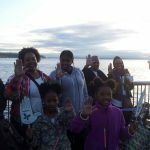 The Morrison Bridge in Portland, Oregon will shimmer in radiant teal and purple to reflect Lupus Awareness Month in May and World Lupus Day on May 10th. 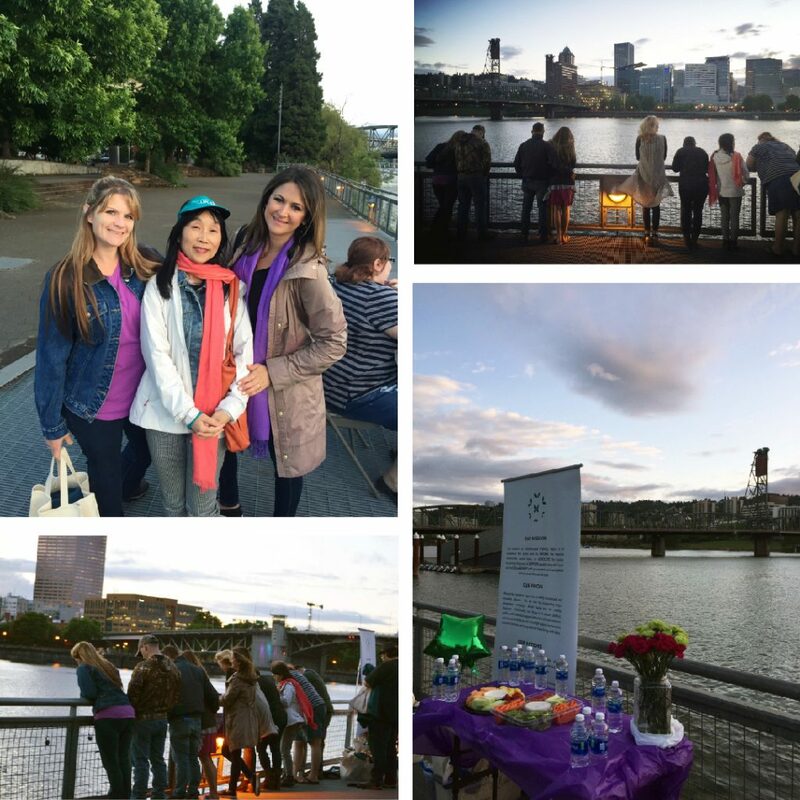 Teal is the official color of Kaleidoscope Fighting Lupus, and the bridge lighting honors those living with lupus. Join us for an evening exploring Oregon-only, small-barrel wines with expert guides, hosted by the Staff and Board of Kaleidoscope Fighting Lupus! Seating is limited. Contact us at info@kflupus.org to RSVP. Join the Riders For A Cure crew for a 100+ mile ride to raise money in support of Kaleidoscope Fighting Lupus. 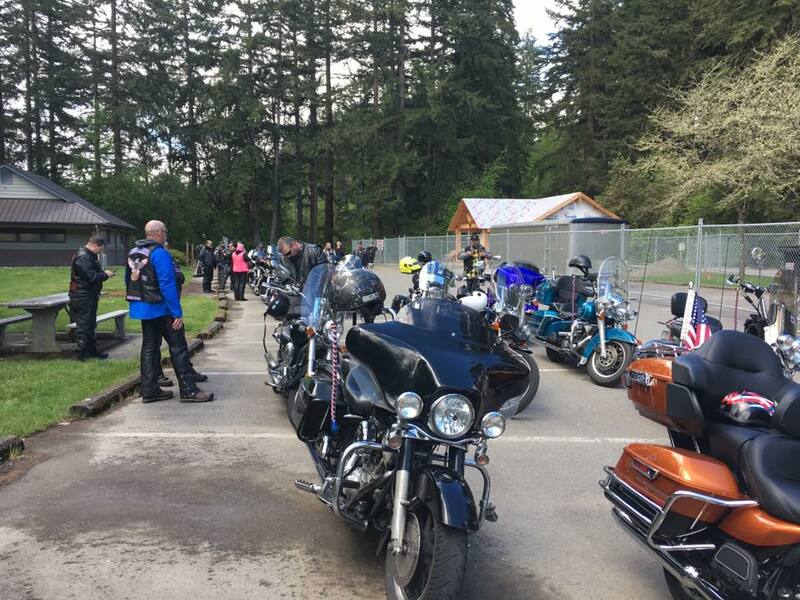 They’ll be riding out, rain or shine, on Saturday, May 12 at 9:30am. Meet at the Arco on highway 308 and Viking, and get excited for a new route this year! It’s that time of the year ladies and gents! 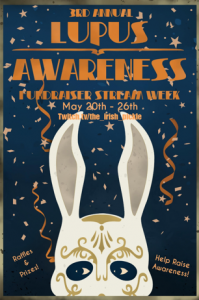 The 2nd annual Lupus Awareness Stream Week is here! 7 days of giveaways as we raise awareness for a good cause! This year’s theme is Resident Evil, so be ready for a week of games like RE0, The Forest, 7 Days to Die, Dying Light, and MORE!!!! 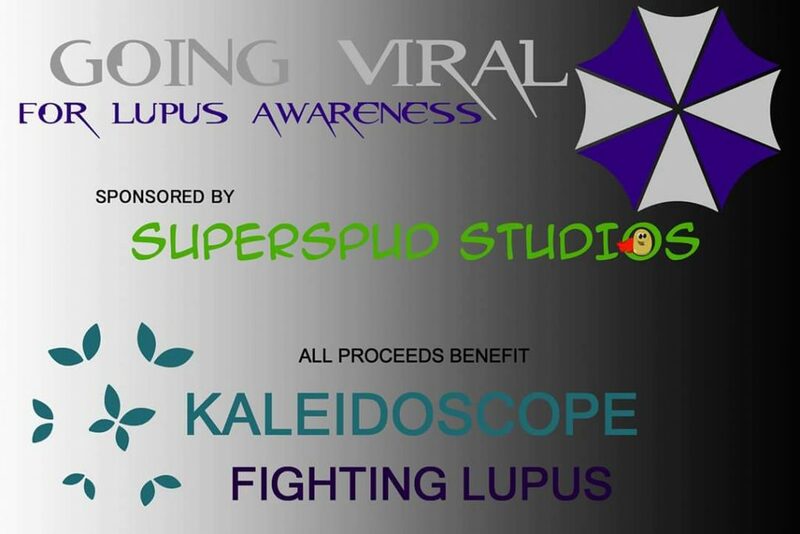 All Proceeds to Benefit Kaleidoscope Fighting Lupus. Last year we raised $1400, the goal this year is $2500. Janice_says will be streaming as well, keep an eye out for her stream schedule! 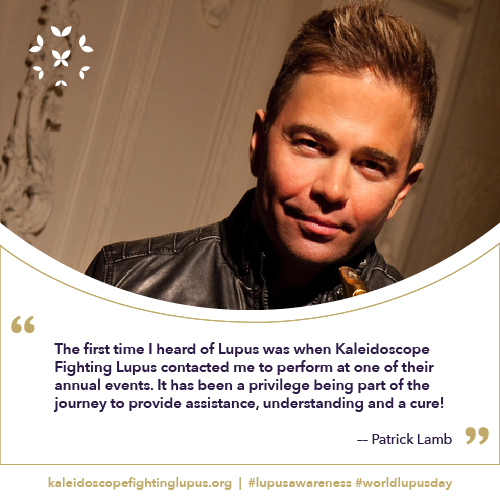 Be sure to check back on all of the Kaleidoscope Fighting Lupus social media platforms for new memes and hashtags to bring increased awareness to lupus during the month of May. Share it! Like It! Retweet it! Help us to spread the word about lupus and to ensure that no one has to face this disease alone.